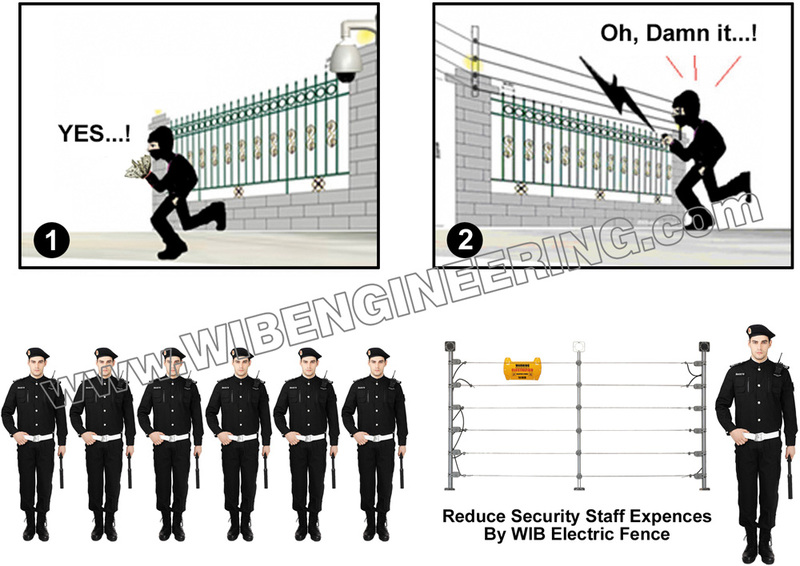 Electric fence is a security protection system that is usually installed along the property boundary of homes or businesses. The property boundary (fence, wall) is the outmost defense against unauthorized access into the property. 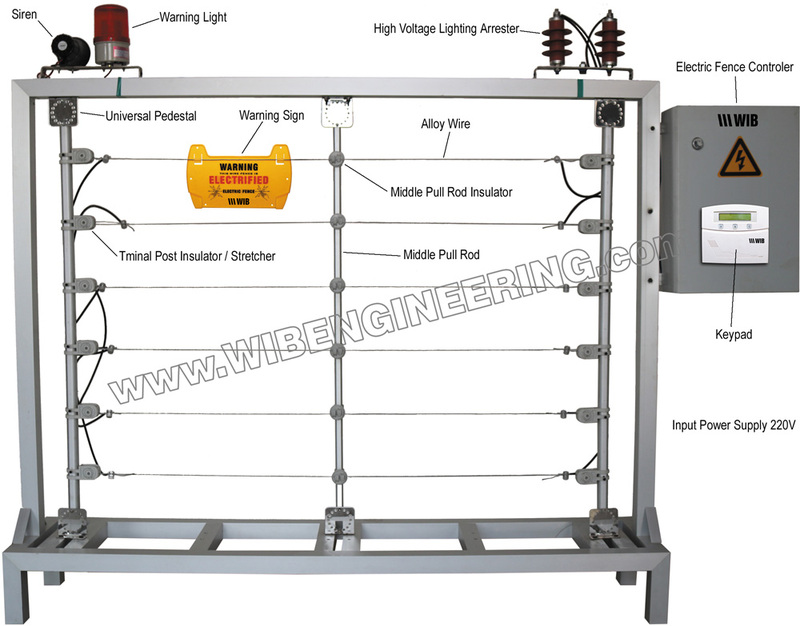 This system primarily consists of bare wire fence structure and an energizer. The Energizer is an electrical/electronic device that converts the electricity into high voltage electric electrical pulses and releases the pulses through the bare wires on the fence structure. 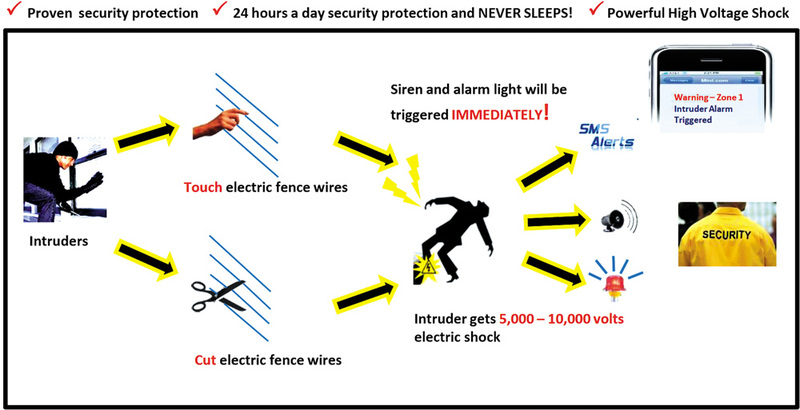 The electrical pulses provide a non-lethal but painful shock to anyone touches the fence wires. 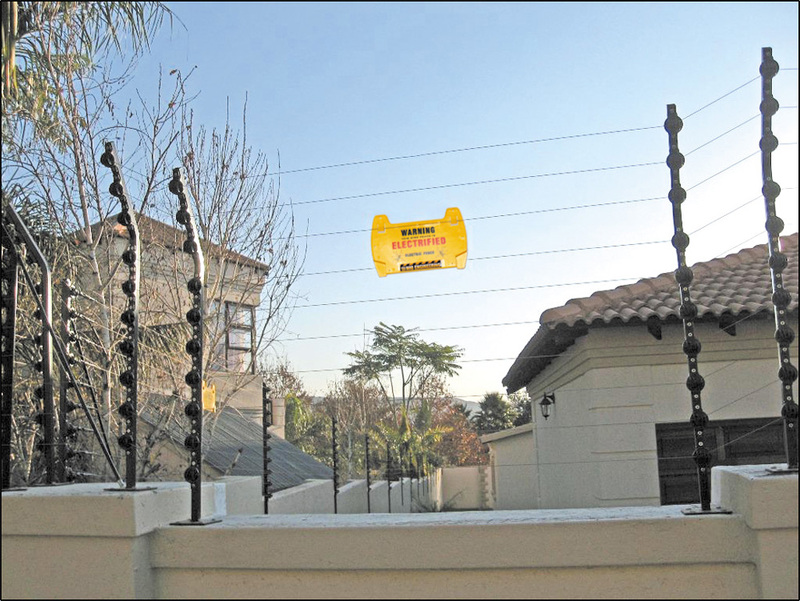 If anyone is continuously in contact with the fence wire for a pre set period the fence monitoring intelligent computer, will activate an alarm siren and automatically send an alert SMS to any pre defined mobile phone numbers. Easy to operate and low maintenance costs. Reduced cost of security personnel on larger properties.